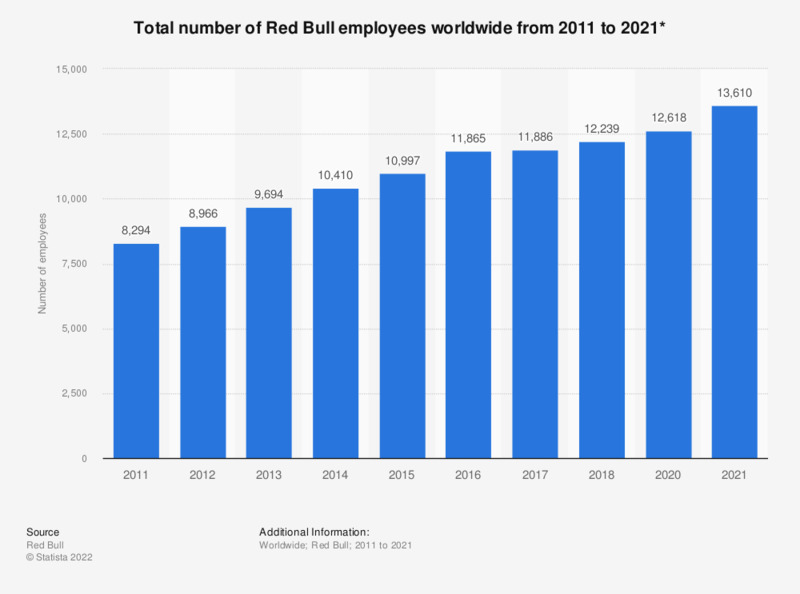 This statistic depicts the total number of Red Bull employees worldwide from 2011 to 2017. According to the report, Red Bull had employed approximately 11,886 people in 171 countries at the end of 2017. * As of the end of each year. Data prior to 2016 were taken from previous company figures.